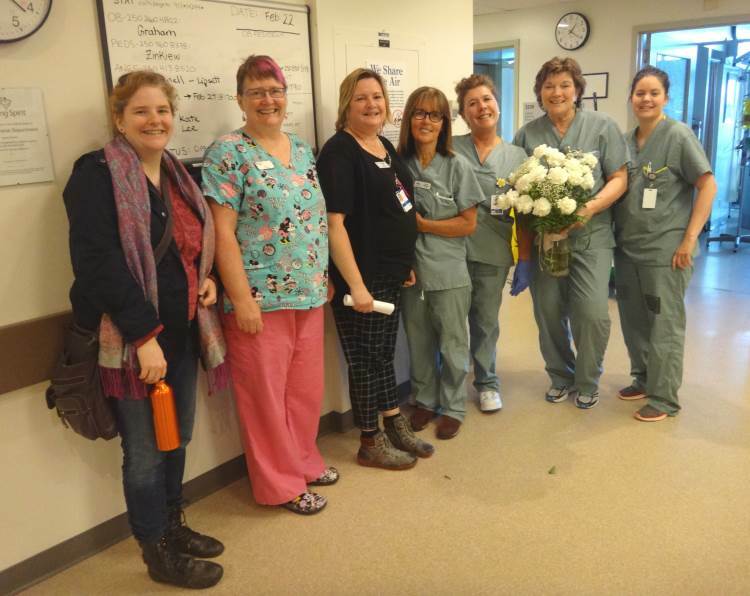 Thanks to the remarkable care she received as an expectant mother, one recent patient wanted to honour the hard working medical staff and caregivers in Labour & Delivery and Mother & Baby with two Caring Spirit awards and donations toward these areas of care at Victoria General Hospital. Congratulations — this cycle of gratitude goes a long way to ensuring our youngest patients and their mothers have continued access to quality care! Last year, more than 5,000 babies and children under 18 received in-hospital care at Victoria General, Vancouver Island’s pediatric specialty hospital. Most of these children received care right here on the Island, close to their families, with less than 1% of admissions requiring transfer to the mainland. Here, a team of pediatric experts including physicians, nurses, dietitians, psychologists, respiratory therapists, pharmacists and physiotherapist work collectively to ensure every child receives the specialized care they need. In 2014-15, over 3,300 babies were born at Victoria General Hospital in the Labour and Delivery Unit. Approximately 600 babies spent time in the Neonatal Intensive Care Unit (NICU) because of premature delivery or serious health issues. Victoria General Hospital operates the only high-level NICU outside the Lower Mainland. The five-bed Pediatric Intensive Care Unit (PICU) is dedicated to giving optimal care for upwards of 200 children each year. These are critically ill and injured children who require continuous observation, intensive nursing or life-supporting care. Victoria General is also the Pediatric Trauma Centre for Vancouver Island, and the emergency room was built and equipped with little patients and their families in mind. To help reduce the anxiety involved in a hospital experience, healthcare professionals called Child Life Specialists are available to every child and family before, during and after hospitalization. The thought of a baby or a child requiring hospital care can be heartbreaking. But with expert care, the majority of these children will go on to lead happy, healthy lives. The Victoria Hospitals Foundation would like to thank the Caring Spirit donor for her generous gift and congratulate the health care teams in Labour & Delivery and Mother & Baby on the well-earned distinction! Service like theirs immeasurably improves quality of life for patients on Vancouver Island.